Children have a tough life in Nepal. Their childhood is short and their life choices are limited by the lack of opportunities. A typical day for a Nepali child in the villages where Himalayan Learning works starts early, between 4 and 5am, and finishes when it gets dark. The poorest children work, usually doing another family’s housework. If they live with their own family, it’s usually in someone else’s house. Girls and boys usually do different kinds of work. Boys will often be responsible for looking after the family’s animals, and girls will be responsible for siblings or other children, and for cooking. Both do farm work. Those children who are lucky enough to go to school often leave early. Very few Nepali children complete primary school. 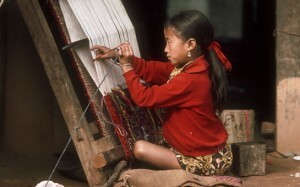 All of the poorest children in Nepal work from an early age. They do a range of jobs from inside the house, to working outside for money. Stopping child labour is very difficult because a child’s family is usually completely reliant on the work in order to survive. Despite this, the majority of poor families understand the value of education for their children, and would, if they had the choice, send their children to study more and work less. Unfortunately however, the first effect of extreme poverty is to remove that family’s choice. The government is proud of the fact that today almost all children go to school. However, this hides the reality. 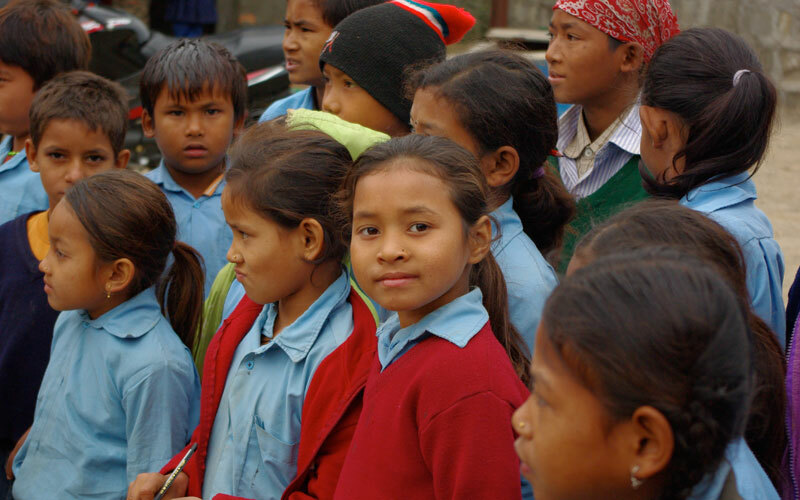 Where Himalayan Learning works, about 90% of children now start primary school. Unfortunately the poorest children rarely get more than one or two years education. Very few ever complete primary school. Children stop going to school for many reasons. Often their parents cannot even afford basic school equipment like a pencil or a book. So they decide that rather than face the shame of going to school without proper clothes or any equipment, they go to work. Despite the tough lives Nepali children face, they are still children. Their childhood may be short, but you can still see the joy and happiness when they get to play. Himalayan Learning encourages schools and teachers to free their children to play, providing for example sports and games equipment where we can.